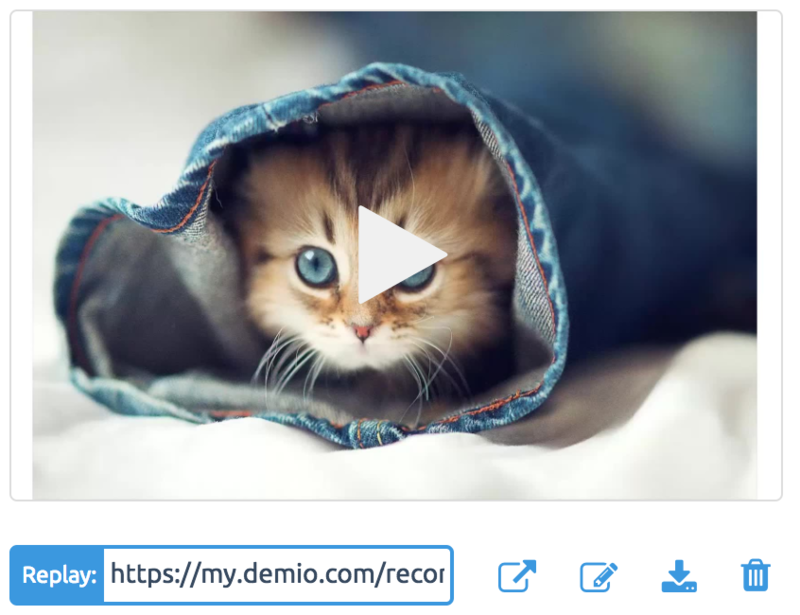 After your recording has finished uploading to your account, Demio will automatically create a simple Replay page for you to share. Under the recording section, you can hover over your newly processed recording to find a few new options. The Recording Editor is similar in appearance to the Registration page editor. Equipped with the editor, you'll be able to make a variety of changes. Let's take a look at them now. Accent: A minimal design using a white background with an accent line along the left side. Gradient: A colored subtle gradient automatically set based on the color settings used under Branding. 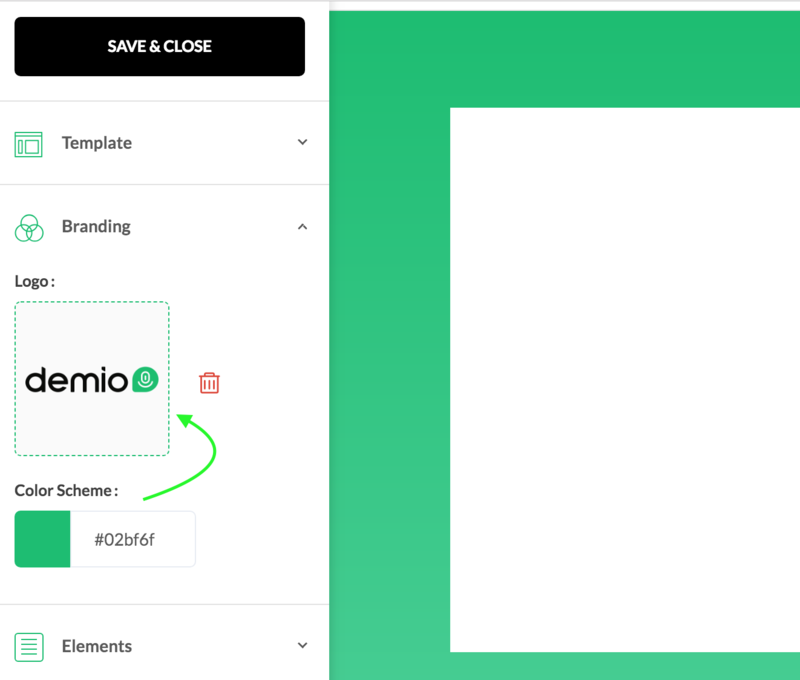 To change the logo, you can select to Upload a Logo from the Branding options. You'll be prompted to upload a new image file to use. For the idea logo size, we recommended the a width-to-height ratio of 5:1 and a minimum width of 1060 pixels. If you've added a custom logo through your account's branding settings, it'll appear on your events by default. You'll be able to adjust the primary color used on your replay page. 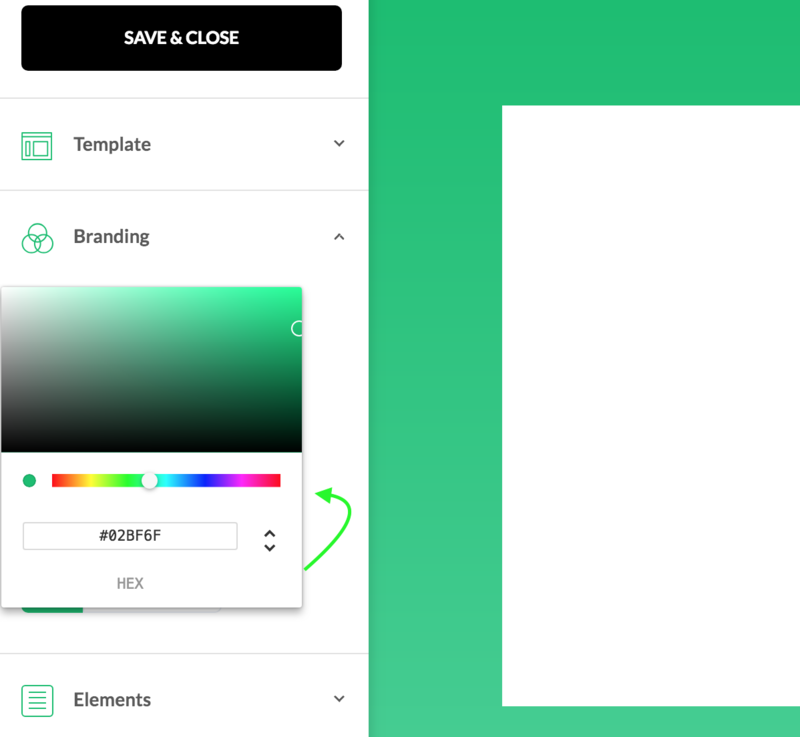 To change the color scheme, click the color option under Branding and use the color picker or add a hex value. Similar to the custom logo, if you've already chosen an account-wide color setting, it'll be set as the default. You'll find a few options to pick-and-choose different elements you'd like to include on your Replay page. The headline allows you to jump in and adjust the title that is set on the Replay page. 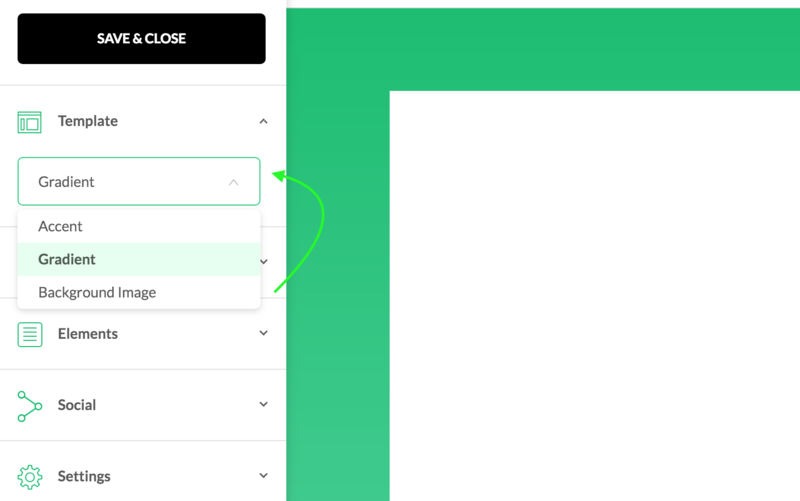 You'll be able to add a snippet of text below the headline. You'll be shown a Call-to-Action window, with a few options! Title: this will be the name of your Call to Action—Attendees will see this when it is shared. URL: the link you want your Call to Action to send Attendees to. Using a format-rich text editor, you'll be able to customize the content that is shown on the page. You'll find options for custom formatting, different list options, as well as options to add images directly. 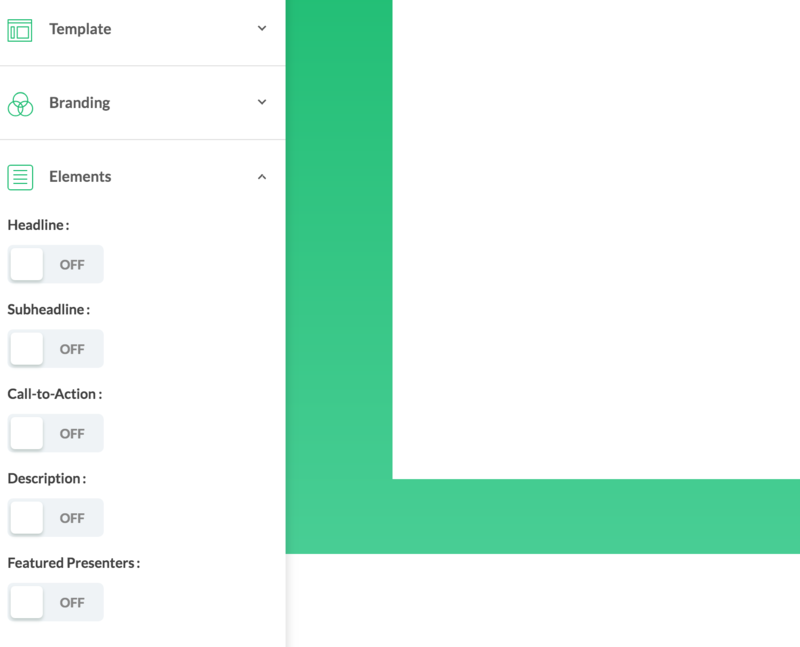 You can add a custom widget to showcase any presenters that hosted the event. You'll be able to add their profile photo, their name, and even a short bio. Once you're happy with your changes, hit the Save & Close button in the top-left corner. All set! You'll find that all of the new changes are reflected on your Replay page.